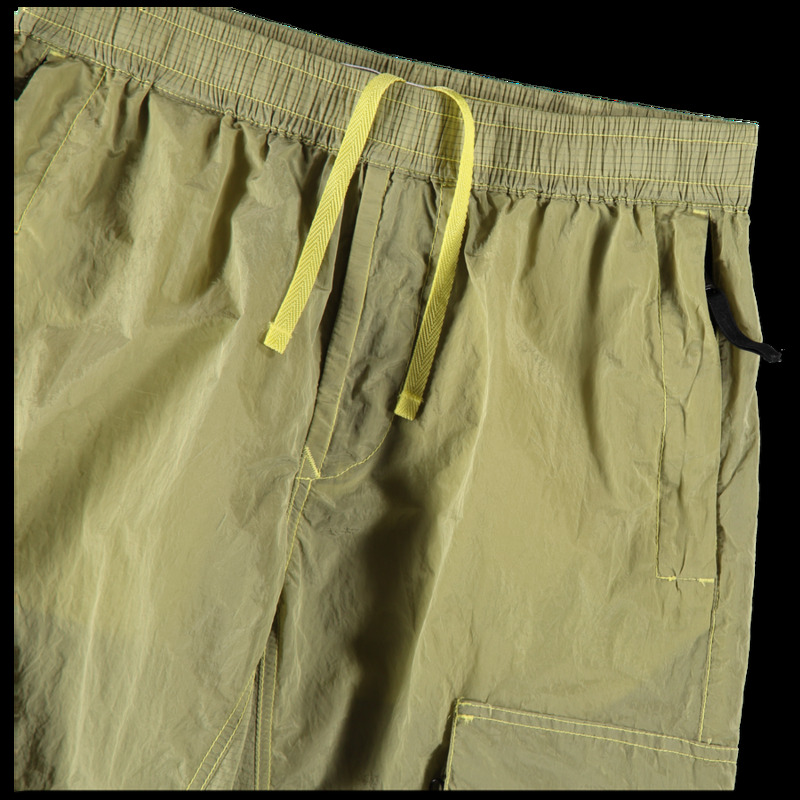 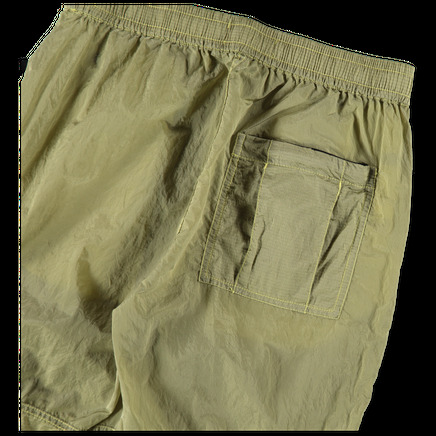 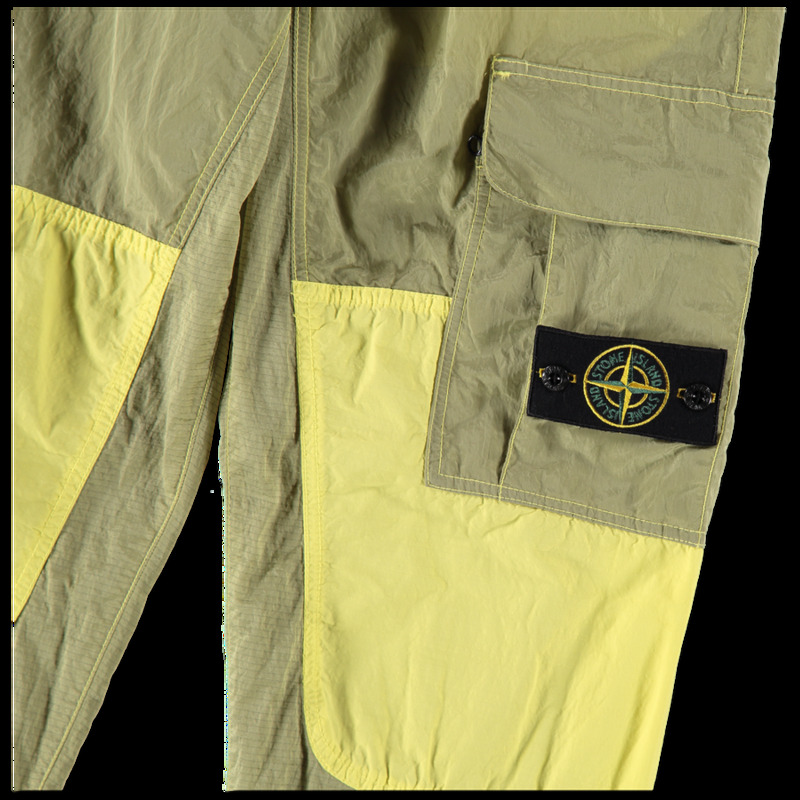 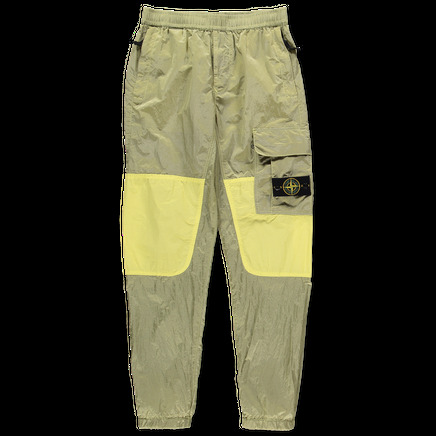 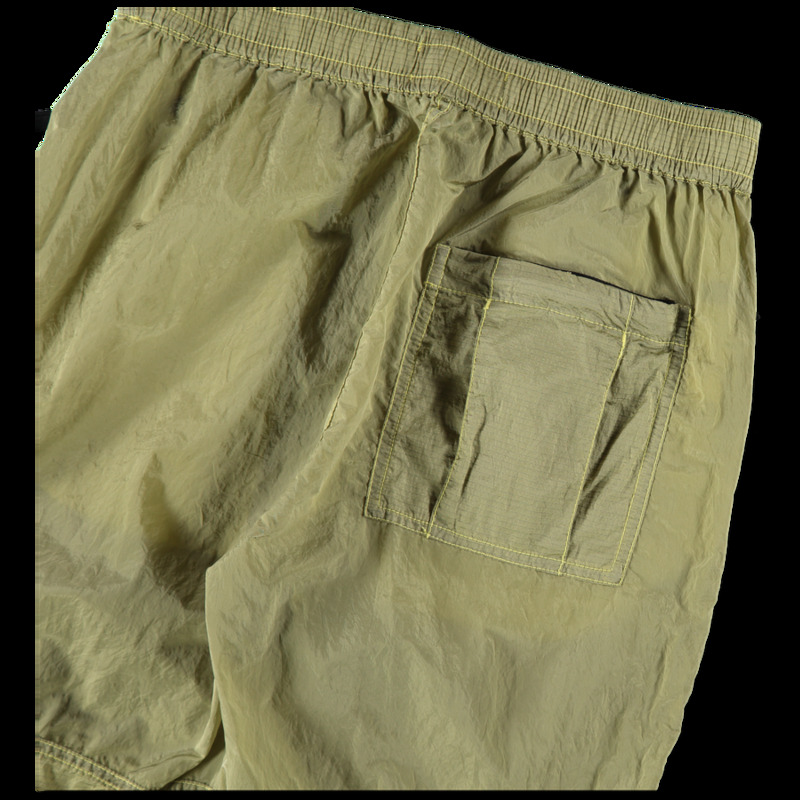 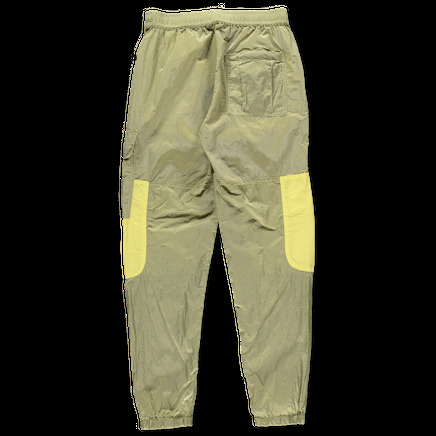 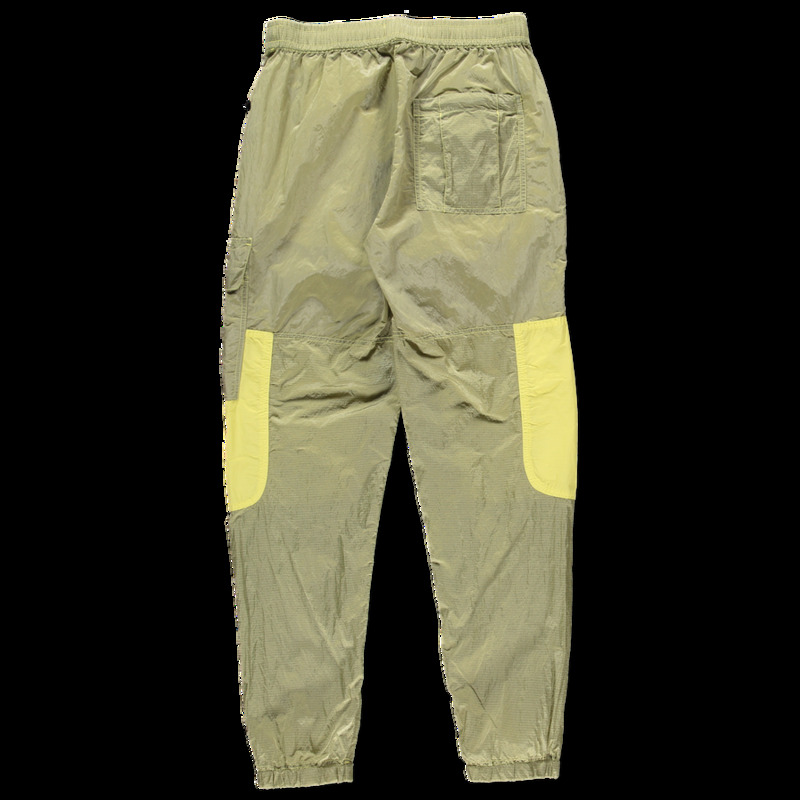 Cargo Trousers in Nylon Metal Ripstop, a trilobate structure nylon yarn, with a distinctive metallic and tonic sheen when garment dyed, made with a micro ripstop weave. The finished piece undergoes an elaborate double dye procedure providing different tones, intensities and colours to the fibres and textile accessories of the garment. Zippered hand pockets, elasticated drawstring waist, reinforced knees with tonal panel detailing, elasticated cuffs and single back pocket.